Looking for a way to take your "handheld" mobile device into the field? Look no further! The Hand-e-holder’s design gives users the natural relaxed feel of an Apple® iPadTM /tablet resting ergonomically in the palm of their hand. This provides a secure hold that lets users carry the iPad /tablet with confidence. When viewing the iPad /tablet, Hand-e-holder’s 360-degree rotation lets users determine the most comfortable position unique to them. The adjustable strap fits all hand sizes, small to large. Depending on the environment, the Hand-e-holder may be used with an antibacterial strap that can be substituted for the standard strap. When not holding the iPad /tablet with the Hand-e-holder, the patented hand plate allows the iPad /tablet to be used with a variety of accessories while still maintaining the 360-degree rotation capability. The Hand-e-holderTM slides into the patented Adaptor Plate. This is the key component between the Hand-e-holder and any of its accessories. The Adaptor Plate comes with two pre-drilled holes to allow mounting to Hand-e-holder accessories or other OEM solutions. The Adaptor Plate comes in a clear acrylic or a black ABS matte finish. All accessories using the Adaptor Plate come with a retention pin. The pin slides through the top of the Adaptor Plate to retain the Hand-e-holder and attached iPad/tablet device in the event the Adaptor Plate is rotated beyond 90 degrees. Accessories also include display stands. Stands vary from a clear stand with a black polished teardrop-shaped base, to a rectangular base either in a polished black or clear acrylic with a wireless keyboard grove for resting a keyboard. A mini tri-pod, that is collapsible, portable and has non-skid footings, can be used on a multitude of surfaces. C-clamps, in 1.5 and 2.5 inch models, can be used to attach a tablet to the edge of a counter, under the kitchen cabinets, or to trade show and store displays. The C-clamp has a curved channel allowing for it to be attached to irregular shaped objects, for instance pipes. Heavy duty spring clamp accessories also allow attachment to work environments where there are no horizontal surfaces; such as engine compartments or workshops. To learn more about the Hand-e-holder, visit http://www.handeholder.com or call (734) 665-7052. "A new app I just downloaded for my iPad is called Metes and Bounds. I decided to test it the minute it opened with a current deal and entered 25 calls from the legal description to draw the plat. And, to my great surprise, the lines didn't close at the Point of Beginning, a problem. There was a gap." "It wasn't a problem with the app, and I looked pretty good when I informed the title company of the typo in the legal description." Read about Metes & Bounds and what it does in this profile. The 10.2 mega-pixel Samsung HZ10W sets a new standard for the mega-zoom category, offering a high-performance, ultra-wide 24mm Schneider lens with 10x optical zoom that allows shooters to be more creative and flexible when taking digital images. The Samsung HZ10W is aimed at fans of wide-angle photography. And what Appraiser isn't! The HZ10W offers a 24 - 240mm equivalent focal range, a generous wide angle to a useful telephoto. The HZ10W offers a host of manual controls, including the ability to adjust shutter speed, aperture, exposure, and focus. The camera also incorporates both Optical and Digital Image Stabilization to help reduce image blur. The HZ10W gives shooters the ability to capture video in 720p high-definition at 30 frames-per-second (fps), and thanks to H.264 compression, users can record video for longer periods of time, allowing them to better utilize the remaining memory capacity on their memory card. Additionally, shooters can utilize Optical Image Stabilization and the camera's 10x optical zoom while recording video, as well as Samsung's Successive Recording mode, which allows the user to pause and then resume filming without having to save the clips as individual files. Samsung HZ10W or HZ15W (difference is number of max pixels). As cheap as $155 on Amazon, which is a steal !!! I paid about $235 for mine when I bought it 6 months ago. Great wide angle lens. This is a much better camera than the V705. http://tinyurl.com/y658fko Dollar for dollar, this is the best camera for appraisal work currently on the market. I completely checked out the specs on this camera before I got it. It has manual mode which is something I like for more control. Of course, it has a slew of automatic functions. Did I mention it has a built-in microphone so you can add audio notes to a photo? And HD 780p video. Overall, as I said, a super camera for the dollars. And it’s a single lens – not dual lens like the Kodak. With the same 24mm wide angle capability. Plus, REALTOR.com® is the only site that regularly updates home sales data throughout the day. So if a home comes on the market today or if a price is reduced, you'll see it before anyone else. Late last year Cloud Engines, Inc. unveiled its second generation of the award winning Pogoplug multimedia sharing device. The new Pogoplug hardware sports a new design boasting multiple USB ports supporting up to 4 external drives for expanded data capacity. The new Pogoplug also gives users improved sharing capabilities, an easy drag-and-drop interface to create engaging multi-media slide shows, seamless media playback, and enhanced sharing with friends on Facebook, Twitter and MySpace. NEW HARDWARE The new Pogoplug design retains the simplicity and ease of use of the original while listening to consumer feedback and adding the ability to directly connect up to 4 external hard drives at once. The resulting product boasts an improved design with greatly improved functionality for users with multiple drives and an increasing need for easy synching and sharing of their digital libraries. NEW FEATURES Automatically Synchronize Photos, Videos, Music and Other Selected Content. Users can synchronize their Pogoplug with their PC or Mac to automatically import new content from popular applications such as iTunes, Windows Media Player, and iPhoto. This feature allows Pogoplug owners to “set it and forget it” and always have access to new photos, videos and music from anywhere on the Internet. Drag-and-Drop Music and Photo Slideshows Users can easily create and share fun and engaging slideshows using their stored photos, videos and music. Creating a slideshow with Pogoplug is as simple as drag and drop, and sharing these slideshows is just as easy as ever. Once a user’s link is shared and viewed, their slideshow will immediately begin with the photos, videos and music they selected, playing seamlessly in the viewer’s browser. Easier Sharing with Pogoplug Address Book Pogoplug Address Book greatly improves the speed and ease of use of sharing with a user’s friends and family. Pogoplug automatically remembers all email addresses entered in a user’s previous shares - even if that share no longer exists – and makes them available in an easy to use address book to make sharing truly one click away. Global Search Across Multiple Drives and Pogoplugs With support for multiple drives on a single Pogoplug (and multiple Pogoplugs on the same account) Pogoplug has added "global" search support across all of a user’s Pogoplugs and drives. Search filters are now a distinct feature, allowing users to view all of their photos, videos and music in a single organized view, or to search for a specific file across all Pogoplugs and drives. Organize Your Music, Photos and Videos Pogoplug automatically displays music by Album, Artist and Genre, and shows cover art for quick access to a user’s favorite music. Photos are now displayed by photo timeline and videos are only a click away, including the ability to watch a preview in the thumbnail itself. Play movies directly from my.pogoplug.com, or even to the iPhone Pogoplug now supports the playback of videos directly from a Pogoplug, with support for the most popular cameras, video cameras and mobile phones. Movies can be shared and viewed directly from the Pogoplug website – or even from an iPhone! Pricing and Availability Orders for Pogoplug at http://www.pogoplug.com - The Pogoplug has a suggested retail price of $129, with no additional service fees. ABOUT CLOUD ENGINES, INC. Founded in 2007 by experienced entrepreneurs from the digital media and security industries, Cloud Engines is located in San Francisco, California. The company was formed with a mission to change the way personal content is stored and distributed over the Internet. The Cloud Engines philosophy is that by making a product simple, open and affordable, the community will participate in making it better. For more information, please visit our Web site, www.cloudengines.com. DaVinci for iPhone has been submitted to Apple by a la mode, inc., and they're waiting to hear when it will become available for download on the iTunes App Store (probably week or two). To promote the pending release of DaVinci for iPhone, a la mode created a really slick commercial that was debuted at the Valuation 2009 trade show earlier this week. I've been testing the beta version of DaVinci for iPhone for several weeks and I think they've going to have a real winner on their hands. Watch their YouTube video to see what I mean. 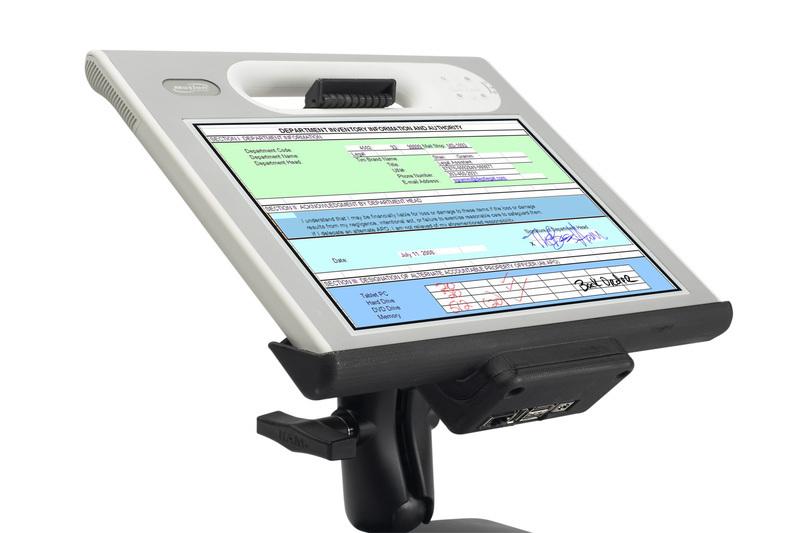 Appraisal Scoop author John Hill, from Allegiance Technology, and Motion Computing are sponsoring a webinar tomorrow for people that want to learn about the Motion F5 Field Tablet PC. 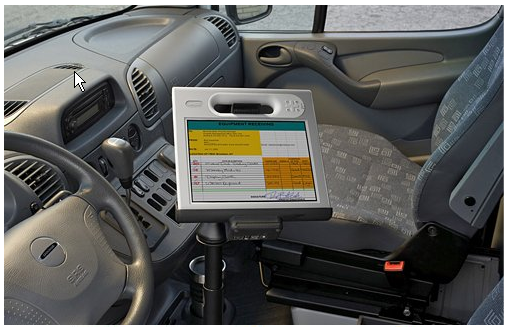 The Motion F5 Mobile Field Tool is the first semi-rugged slate PC designed specifically for the mobile appraiser that combines durability, mobility and integrated functionality with the benefits and convenience of tablet input. See our Motion F5 Brochure. The nice part is that if you are thinking about one of these tablets, there is an opportunity for webinar attendees to purchase one for $1,000 off the list price. The F5 is IP54 rated to meet the demands of the job from dusty construction sites to the occasional drop from a vehicle or exposure to a rainstorm. In fact, the F5 is designed to protect from the top three causes of notebook damage, which continue to be drops, liquid spills and objects being dropped on to notebooks. 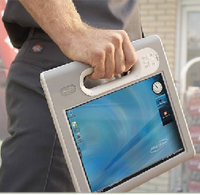 Webinar 4/18/2008 - Mobile Appraisers Answer Your Tablet PC Questions! WEBINAR UPDATE: The webinar on Friday went well and John was able to recorded it for anyone who didn't get to attend. Many thanks to Greg Davenport for bringing his unique perspective and for the attendees who asked such relevant, thoughtful questions. You can see stream it here and download it here. To help show some of the differences between operating systems and tablets, John Hill of of Tablet PC News at TabletPCBuzz, is going to host a webinar tomorrow (April 18th), at 2pm EASTERN STANDARD TIME. It will absolutely NOT be any kind of sales pitch. It is intended to be a forum where people can ask questions and get answers from other appraisers. If you are an appraiser and Tablet PC owner who would like to be answering questions, please email John at john@alltp.com. This will allow him to identify you and unmute your call so you can share your expertise. If this goes according to plan, John won't even talk except to repeat questions to the appraiser experts. His only shameless plug will be to tell you about their Tablet PC demo program which you can read about on his website - Click here. John will attempt to record this meeting (sometimes it works and sometimes not) for later viewing/listening. I'm at the a la mode Las Vegas convention this week participating in their "Real World" series of appraiser seminars. 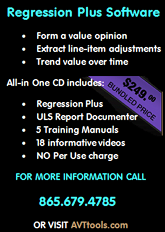 Patrick Egger (Outside The Boxes series) and I (Appraisal Scoop - Paperless Office) will be presenters on April 12-14. The “Real World” series are courses are taught by a la mode customers and are designed to show real life examples of how technology can make a difference in your office. One of the first announcements was the start of a monthly print and online newsletter called Appraisal Press. Dave Biggers, a la mode Chairman said, "We realized that producing this monthly print and online newspaper, instead of various printed and online advertising pieces and newsletters, was the best way to really affect the transformation and aid our customers. So, in here, you’ll find candid, first-person, timely, hard-hitting articles and op-ed pieces — usually delivered in irreverent and edgy style." Dave also said, "So, why not just write a blog and go doubly green by saving a few trees? Well, blogs are cool, but they aren’t read by the majority of appraisers. 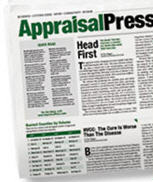 By printing a real newspaper while also providing a true online destination (http://www.appraisalpress.com) with the printed articles and more, we reach more people and offer the best of both worlds. We hope you agree." 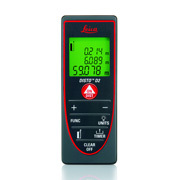 Measuring distances and calculating results with the smallest laser distance meter of the world. According to the Leica Geosystems website: The compact and handy Leica DISTO™ D2 was specifically designed for indoor applications. Shortcut keys for addition, subtraction, area and volume calculation make measuring fast and very reliable. The last 10 measurements are also stored. As with all Leica laser distance meters, the laser dot is clearly visible. You can always see your targeting point, even if the target object is in a hard to access area. Leica DISTO™ D2 – you will never use a measuring tape again! Thanks to Matt Johnson for the link - click here.